After 2 years without a proper release, we finally got together, what we will call a 0.5. It includes new features as half heights, a narrowgauge tram and different looking climates. 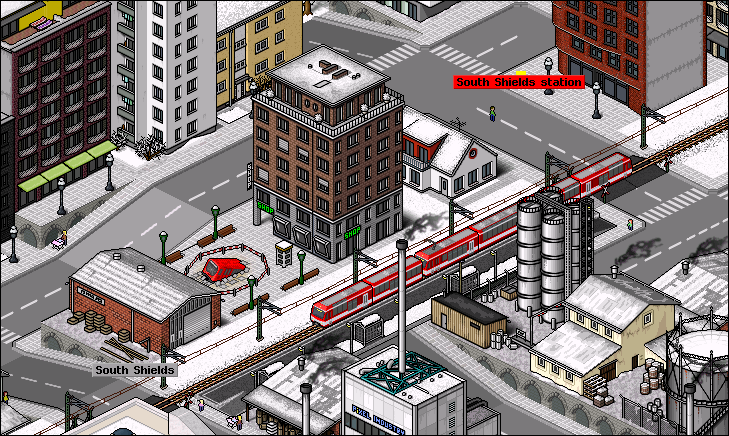 But there are also updated Buildings, Stations, Trains, Trams, Trucks and Busses. And finally we get to publish the sources! Pakset isn't compatible to 0.4 versions. Sorry for that, just keep your old paksets on your computer. 1) There are only 3 climates actively developed so far, those are Western, Continental and Alpine (temperate, tundra, rocky) - other climates are lacking in city development. If you got cities in those climates, you might want to use the climate tools as public player to switch to a more developed climate. Most factories are not affected. 2) Since we realized our ideas for narrowgauge and trams overlapped quite a bit (reduced speed, steep slopes) this new version internally switched narrowgauge and normal gauge. This means all train addons from previous versions will show up in the narrowgauge depot, and vice versa. 3) Due to aforementioned switch, we created translations for some of the base texts mentioning tracks and narrowgauge. However, those exist only in German and English, so if you play in any other language, be aware that standard gauge and narrow gauge will have their meaning switched. Looks great! Glad to see that the source is getting a release too. Will this be compatible with Simutrans Extended? i failed to start it with extend. Not sure about the reason tho. May just be me not installing extended properly, or our pakset just not beeing ready for it. Either way I'ld be glad to have someone implementing extend features in our Pak. This pakset is happily now open source, so one could easily compile it with makeobj-extended, and, if one had the time, add all the various Extended parameters to all of the objects. Merry Christmas and Happy Holidays! What a nice gift. Without words, just beautiful ! !, a million thanks leartin and Flemmbrav ! Great! Really looking forward to this! Screenshots look stunning. This set is so impressive! I love the idea of narrow gauge line running through city centre, like in the very first post of this thread. Hi how can I play this version, what program I should use to activate ? Simutrans Standard, either the latest stable (120.2.2) or any newer nightly. 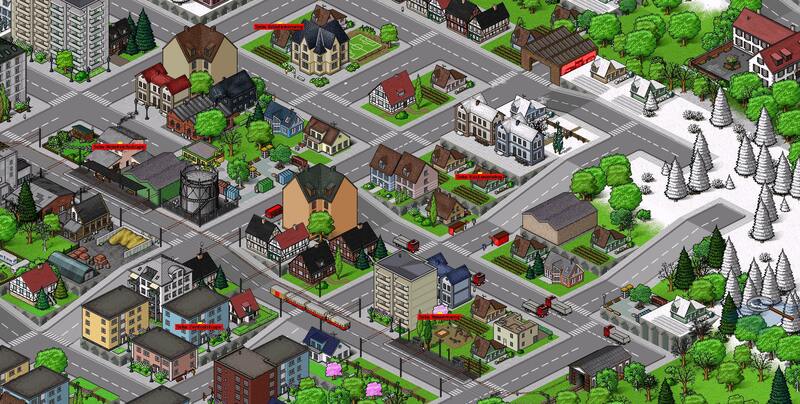 There are merge conflicts in /buildings/factories/Molkerei.dat and /vehicles/citycar/citycar.dat on the source package. The package that you offer with the pakset sources. The two indicated files contain code from merge conflicts that SVN add to show the conflict between what you have versus what's on trunk. Just look for <<<<<<< .mine in those files. There are also other invalid strings, like retire_year2047 in /vehicles/air/A380-800.dat.